The Buddha never called himself a guru. For modern readers of the Pali Canon (the earliest Buddhist record) he comes across as a practical man with little interest in doctrines and theories. His great invention was the fourfold task. You probably know this as the Four Noble Truths, but more then twenty years ago the philologist K.R. Norman determined that the term ‘noble truth’ was not in the earliest historical record. It was added later, presumably to help Buddhism feel more sacred and secure. In its religious heyday that sort of language may have spurred membership. Today it turns a lot of people off. Like all great inventors, the Buddha was followed by a string of entrepreneurs who made his teachings first into a religion, then a philosophy. That’s why disillusioned and doubtful Buddhists eventually turn to the early records of Buddhism, seeking something less contrived. That record describes a man who helped people feel better about themselves. If he were alive today, we’d call him a self-help guru. He was big on self-reliance and encouraged people to seek freedom by examining their own experience. He was silent in the face of brilliantly pointless metaphysical questions. bulges behind our eyes is hugely powerful and addictive. What Buddha taught isn’t hard because it’s complicated but because he asks us to face reality without pretense. Conventional life encourages us with its intermittent pleasures but leaves no lasting satisfaction, he said. Sometimes, it’s miserable as hell. Plus, we’re all doomed. That’s a pretty unorthodox way to start a new movement. I still can’t believe how well it worked. He was obviously on to something. theorizing. I just have to speak out. Simplicity is tough. To approach life without convenient, consoling rationalizations is to go against everything that makes us special. God blundered when he gave humankind dominion, “over every living thing that moveth upon the earth,” (Genesis 1:28) but we are different from the other animals. This thinking tool that bulges behind our eyes is hugely powerful and addictive, no matter that we assign it mostly trivial tasks. You can’t stop it, but you might knock some sense into it. The Buddha’s simplicity isn’t vague. It points sharply at our every experience. Step One: admit that everything’s not all right; you don’t have a handle on life; rationalizations with no practical purpose are usually acts of denial. Step Two: see that trying to fix life—fixating on it—just feeds back into the dissatisfaction; you don’t have to try and fix everything; you can let go. Step Three: experience that letting go; peaceful, isn’t it? Step Four: Keep letting go and you’ll cultivate a new way. There it is in plain language: a fourfold task to freedom. What could be more self-help, new-age and catchy? Buddha’s The Man. Don’t misunderstand me. I’m not being sarcastic. It works. If I sound a little edgy it’s because I’ve had it with piety and with flatulent theorizing. I just have to speak out. I hate the flimsiness of the New Age as much as you, but I also hate the pretensions of those who invoke the Ancients as if they were a master race. Dependency on analytical thinking leads us to confuse the syntax of language with the nature of reality. When you take Buddhism as an ideology, the Buddha’s practical instructions get mangled into nonsense about us not really existing, or into metaphysical fantasies about some Ultimate Reality. Sure you have to think about stuff, but experience it first; otherwise it’s just theory. Remember when you were a freshman, babbling polysyllabic words, pretending you weren’t a dumb kid any more? You had nothing under your belt but a few overwritten term papers. Hey, I did it too. It’s so embarrassing. Some people never outgrow it. The worst is when they make a career of it. Again, don’t get me wrong: analyzing the Pali canon requires skills and special tools. I tip my hat to the scholars who make obscure texts available to us, but scholarship is just a means to an end. I especially admire those who can function within a tradition without being buried alive in rules and deep theory, who lead with a practical edge. The point is to put the method to work; to transform the way we experience ourselves and treat others. Have I got it all wrong? Am I just a simplistic new-ager? I don’t think so. This post was tangentially inspired by Stephen Batchelor’s article A Secular Buddhism, published by the Journal of Global Buddhism, but don’t blame him for my indiscretions. I so, totally agree with your statement and find myself getting tired of opinions, views and angles. We just seem to have too much time, too many choices, and too much security to get on with life. This is what I have concluded after reading, cognizing, feeling, introspecting, believing, theorizing, experiencing and living…. The existentialist dilemma is fundamentally a human dilemma. No other life form thus far has exhibited such an angst towards existence as such – proof of this is in the constant changes we bring to our environment without ever reaching an enchanted sense of self-sufficiency, as one era’s Utopia becomes the following one’s redundancy. Therefore, in essence, this must be a human characteristic, but which one? The tragedy of life has nothing exclusively with hopes & expectations, constraints & adversities, pain & suffering as these matters are also the sources of our contentment and happiness if not goals and directions in our experiences. The Tragedy Of Life is MIND. To substantiate such a statement I stipulate that anything,… ANYTHING that occupies the mind’s conscious aspect is enough to give life meaning, from the momentary to the permanent, from the valuable to the worthless, from attraction to avoidance, from pain to pleasure. Therefore, as we cannot abolish MIND, the next best thing is… Understanding the software (mindfulness) running the input (experience) no matter what the latter is. Ralph: I wouldn’t call the existentialist dilemma a human characteristic so much as a double-bind. The more we use our mastery over nature to secure ourselves, the more insecure we feel. On the one hand nature’s all we’ve got, and on the other our basic nature is to secure ourselves. Our advantage over the other animals lies in our potential to change our habitual responses. It’s a significant advantage. By admitting our plight and relinquishing our pretensions, we can step out of this double-bind. Are you having a go at Stephen Batchelor? That’s the message I’m getting. I would rather it was not him you had in your sights but nearly everyone else. I think what Batchelor is doing with and for Buddhism is highly meritorious. You don’t have to agree with everything he says but I think what he is doing is very very useful. Just listen to him talking about meditation in the After Buddhism series. Clearly Batchelor is not one for the happy path of altered states of consciousness. Please clarify if you can Stephen. And if it is Stephen B, why not come out and say so more explicitly? Really Andrea? Did you not see my codicil and follow the link? I am buoyed by Batchelor’s pragmatism and have been for four decades. I’m having a go at the Buddhist establishment. ha ha, quote; the buddha s practical instructions get mangled into nonsense about us not really exsisting. Hi Sodis: Yes, a little hyperbole to get people’s attention, but the Buddha taught a practice of anatta, not a theory that we don’t exist. I’m poking fun at those who love to drift away on evanescent word-clouds. Stephen, great post. Your rendering of “the four” is one of the most concise and accessible I’ve seen. One of the reasons I’ve been enthusiastic about Batchelor’s take on the 4NTs is that this process was one I recognized from my own attempts to live mindfully — that as we learn to truly embrace life, craving just doesn’t seem to make sense anymore; and when we can free ourselves, even briefly, from our reactivity to craving, it’s suddenly possible and even compelling to listen to people, to respond to ourselves and others with caring and kindness, to avoid doing the thing that will lead to more suffering. The traditional formulation — that we must commit ourselves to ethical and mental purification and maybe someday get Nirvana — is such an impediment to helping people understand the message of The Four. Glad it resonated Mark. I was always uneasy when our teachers said we ‘should believe’ the Buddha. It wasn’t that I disbelieved him; I just felt that wasn’t the point. To me The Path is something we all have to figure out for ourselves. It’s a shame that so many Buddhists need a scriptural reference before they’ll accept anything. Sadder still, even though Batchelor actually provides such a reference, he remains widely ignored. I suspect the Buddha wouldn’t be surprised. I’ve toyed with Buddhism in the past. But resources are scarce here in the USA. You can’t walk into a Barnes & Noble or an Amazon and just find dozens and dozens of resources on Buddhism. Much of what you do find is encrusted and embellished by the writer and their slant or bias. Do you have any recos for getting a hold of the Pali Canon in English? PS – found you through your recent interview on Buddhist Geek. Hi Jonathon: The Pali Text Society in the U.K. is the classic source for English translation. If you don’t want to learn Pali yourself, however, you can’t simply depend on one translation. The American website Access to Insight provides variations of many suttas. I’ve found it useful. You should at least learn the ambiguities of some of the major terms, like dukkha. For that, Wikipedia has become very interesting. There’s no such thing as translation without bias. Thanks for the resources and the caution! What the hell are you showing in your website? Such is the result of fake understanding and exploration of Buddha. The Image of Buddha only speaks about wisdom, truth and infinity of human life and possibility of all existence. 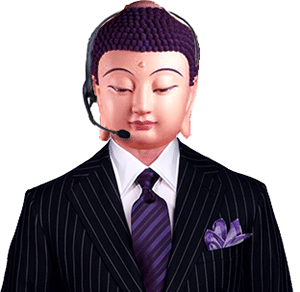 Kindly replace the image you have created of Buddha in your website. Are you defending the Buddha, who surely needs no defense, or are you simply intolerant of those who see him differently from you? I imagine, if he were alive today and seeking the largest possible audience, that he might very well dress like this. There is no need to defend buddha. He is capable. But i think if buddha were alive today he might not dress like this. At his time he had given up all valuables and expensive clothes and opted for simple living. Buddha is so loving and caring that he will forgive our sins for defaming him.